Air Duct Installation, Duct Cleaning & more. Affordable Air Conditioning Service for Camarillo, Newbury Park, Thousand Oaks, Westlake Village, Moorpark, Oak Park, Agoura Hills, Calabasas. Gold Coast Temp Control provides dependable heating, air conditioning and central HVAC solutions. Maintenance services, commercial installations and upgrades, residential air conditioning repair. We work with homeowners, businesses and property managers to take care of our clients heating and cooling needs. Request a quote for service! We guarantee quality craftsmanship on every system we install or service! We run a family owned and operated business dedicated to serving the needs of our community with integrity and dependability. We offer quality services that are reliable, affordable, and help you function smoothly in your home or office all year long. We are dedicated to serving the needs of our community with integrity and quality craftsmanship, and to producing exceptional work at a great price. 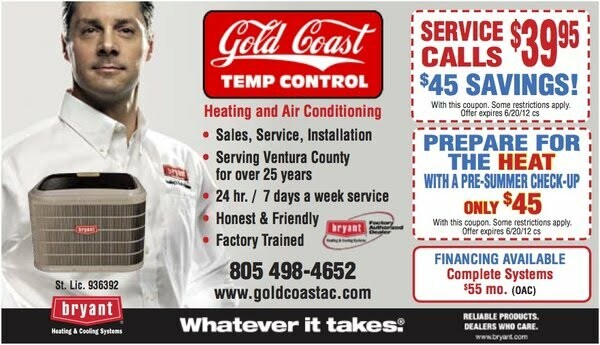 Give us a call at Gold Coast Temp Control, we know you'll see why we are Ventura County's #1 HVAC technician. I found Gold Coast when we were no longer able to stand the cold. I sent a Yelp inquiry late in the evening found the owner to be very responsive via email and phone. He answered right away and upon hearing our predicament of central heating not blowing warm air and we just came home with a newborn, he said his guys would be out to our house in the morning. They showed up promptly, were friendly, and the owner even popped in to see us. Apparently, our sensors got tripped and we needed new ones. Our heating system got fixed and they charged us fairly. I would definitely call on Gold Coast again for our heating needs. Thank you!! Greg was extremely prompt from the moment I requested a quote on yelp! I had called multiple companies and did not receive a response from any of them. Greg picked up the first time I called him and had an appointment made for an estimate less than 2 hours later. I called to schedule a day to get the heater installed and his team was there the next day. I know the job was not easy, but Greg's team (Eric, Ethan, and Chad) made it look easy. They did an amazing job. All of them were very pleasant and professional. Thank you Gold Coast Temp. Control for your hard work! I will recommend you guys to anyone looking for HVAC services! Honest work is our principle. 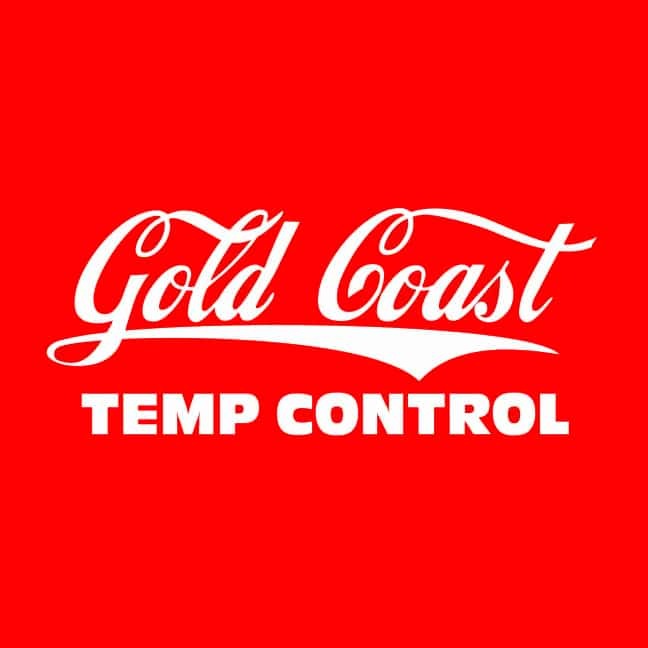 Gold Coast Temp Control values our local customer base. 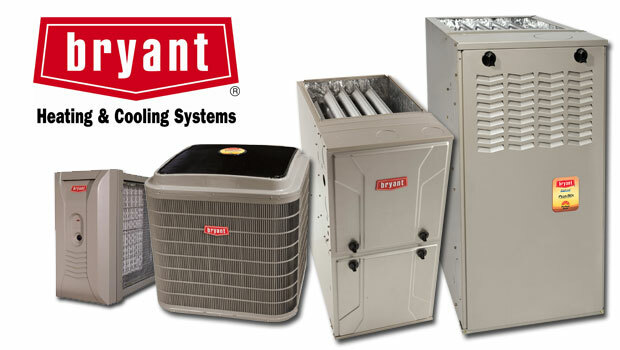 – Ventura County's Trusted #1 Air Conditioning Company – Authorized Dealer of Bryant Heating and Air Conditioning Equipment – Commercial Construction, Residential Construction, HVAC Installation – Camarillo A/C Repair Service with Technicians available from Ventura, Thousand Oaks, to Calabasas. Dedicated to air conditioning diagnosis, repair and air conditioning replacement. HVAC inspection and heating service for commercial and residential customers. We service Ventura County, Conejo Valley & San Fernando Valley. Whether you need to purchase a new A/C unit and looking for a certified and licensed A/C installer, or simply need to service the HVAC system that is currently at your home or business, Gold Coast Temp Control is equipped to diagnose A/C problems and provide affordable HVAC solutions. We work with quality manufacturer parts and follow the best standards in A/C installation and HVAC repair.